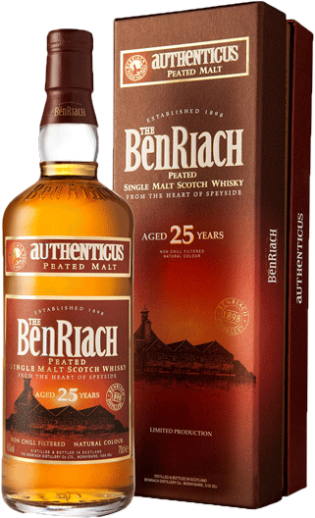 Completing our peated range is the full-bodied and audacious ‘Authenticus’ 25 years old, formerly available as a 21 years old single malt. Distilled from peated malted barley, this whisky demonstrates a fusion of rich peat and smouldering embers with herbs and honey. Bottled at 46%, non chill filtered and at natural colour. 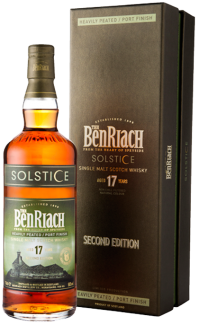 Elegant aromas of ripe pineapple, fresh mountain herbs and a profusion of sweet peat. 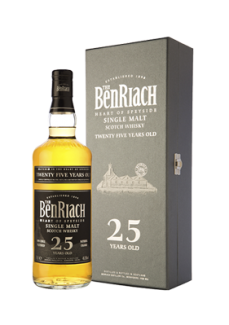 A huge pungent blast of peat smoke emerges, partnering the peated element perfectly. Full bodied and audacious. A fantastic fusion of rich peat and smouldering embers bound together by fresh herbs - oregano, aniseed and chicory in particular. A rush of sweet, wild honey provides a lovely contrast to this lively, intense expression.